December 7th, 2017 marks the 76th anniversary of the attack on Pearl Harbor. (See the 75th commemoration here.). Pearl Harbor is a U.S. naval base situated on the island of Oahu, Hawaii. On December 7th, 1941, at approximately 7:55 a.m., the United States was launched into World War 2 (WW2) when aircraft from the Imperial Japanese Navy struck American ships and military installations. Franklin D. Roosevelt, serving as the 32nd President, declared war against the Axis powers in what became his most renowned speech. BACKGROUND. 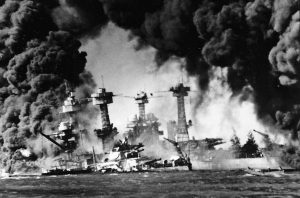 Tensions had long been building between Japan and the U.S. Japan had launched other attacks against U.S. forces elsewhere in the South Pacific (the Philippines, Guam, Wake Island, Malaysia, Singapore, and Hong Kong), but none so close as Pearl Harbor, which was just 2,471 miles from California. After the U.S.’s failed efforts to negotiate a withdrawal of Japanese military from China and Inodochina, Japan proceeded to launch a surprise assault. 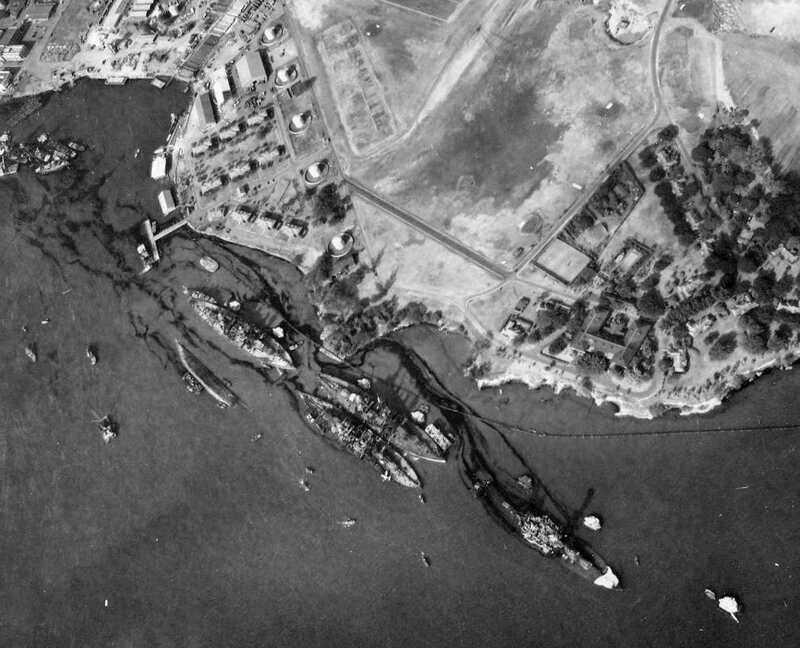 The U.S. Navy was completely caught off guard, and therefore the fleet of ships that were bottled up in Battleship Row had no time to disperse out to sea. The damage was staggering. Photo: (Wikipedia) Battleship Row, Pearl Harbor, Hawaii. Post Japanese attack on December 7, 1941. The surprise attack was led by 353 fighter planes and bombers, launched from 6 Japanese aircraft carriers. Battleship Row housed 8 battleships (USS Arizona, USS Oklahoma, USS West Virginia, USS California, USS Nevada, USS Pennsylvania, USS Tennessee and USS Maryland), and other vessels, cruisers, and destroyers. U.S. fighter aircraft were launched in a counter move, but to no avail. Ships were bottled up in the harbor; some sank, entombing crew members alive in the hull. The following day, President Franklin D. Roosevelt addressed the nation, calling it “a day that would live in infamy,” and declared war on Japan. As the U.S. took action, Nazi German and Italy declared war on the U.S. to which the U.S. responded. The reasoning behind the attack was in hopes of weakening the U.S.’s Pacific fleet, thereby diminishing the possibility of the U.S. interfering in Japan’s seizure of Southeast Asia. However, the U.S. used the attack on Pearl Harbor as propaganda throughout WW2 to fight and ultimately defeat the Axis Powers. It was empathically effective, because it centered on the emotional sting (anger) caused by what was described as a cowardly act, i.e. not fighting fair. Unfortunately, throughout WW2, innocent Japanese-Americans were relocated to and incarcerated in camps in the western U.S. upon suspicion of being a threat to U.S. citizens. 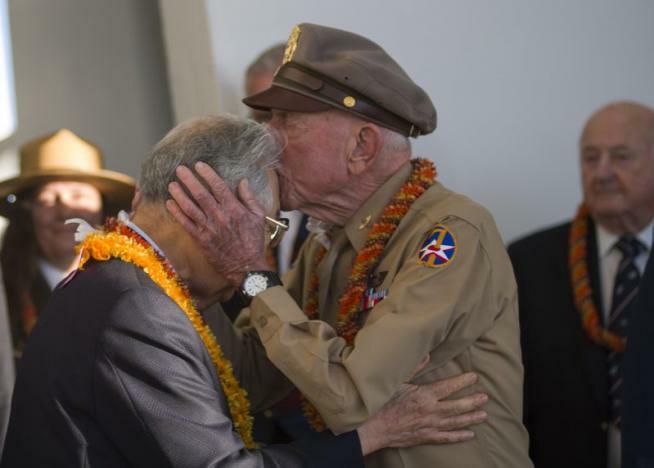 However, time has healed the wounds between Japanese and U.S. soldiers who once fought each other. 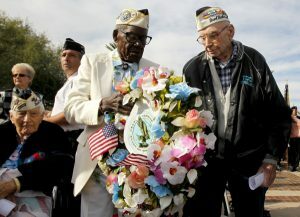 Several organizations, including the Pearl Harbor Survivors Association, were formed to ensure that survivors are honored annually. The outcome of WW2 can be read and viewed in libraries, veteran memorials and museums, as well as online. Readers are encouraged to visit museums exhibiting official aircraft and sea vessels, as well as to travel to Oahu, HI and visit the USS Arizona Memorial for a humbling, emotional and educational experience. FURTHER READING – Visit our MSE Library catalog for hundreds of books on Pearl Harbor. For the most recently published books (i.e. our McNaughton Collection), please see All the Gallant Men: An American’s Sailor’s Firsthand Account of Pearl Harbor, Stratton, D., & Gire, K. (2016). Photo: USS Arizona Memorial, Pearl Harbor, Hawaii (Official Pearl Harbor Tour Site). The ship was bombed and finally exploded and sank. Casualties: 1,177 officers and crewmen. FILM – View numerous documentaries and films on Kanopy Streaming. History and Memory, Akiko Productions, 2008. Pearl Harbor, Touchstone Pictures, 2001. Raw footage shown on YouTube. Doyle, Peter, World War II In Numbers: An Infographic Guide to the Conflict, Its Conduct, and Its Casualties. Richmond Hill: Firefly, 2013. Lord, Walter, Day of Infamy: Illustrated with Photos. New York: Holt, 1957. 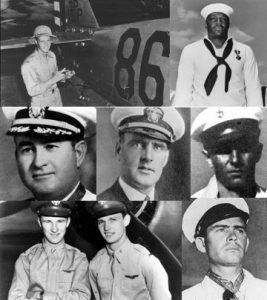 Pearl Harbor Casualties: Military and Civilian, Plus Casualties and Survivors of the U.S.S. Arizona. 2007. Bennington, Vt: Merriam Press. Prange, Gordon W., Donald M Goldstein, and Katherine V Dillon. At Dawn We Slept: The Untold Story of Pearl Harbor. New York: McGraw-Hill, 1981. Spiller, Harry, Pearl Harbor Survivors: An Oral History of 24 Servicemen. Jefferson, N.C.: McFarland, 2002. Wohlstetter, Roberta, Pearl Harbor: Warning and Decision. Stanford: Stanford University Press, 1962. White, Geoffrey M. 2016. 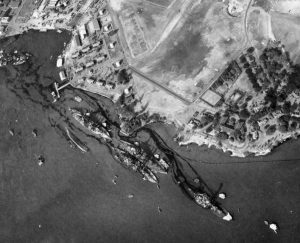 Memorializing Pearl Harbor: unfinished histories and the work of remembrance. http://dx.doi.org/10.1215/9780822374435. Zimm, Alan. Attack On Pearl Harbor: Strategy, Combat, Myths, Deceptions. Havertown: Casemate, 2011. Nice remembrance, but one small correction. In the third paragraph, it says, “US fighter jets were launched in a counter move…” There were no jet aircraft in any country’s armed forces in 1941. The aircraft that took part in the Pearl Harbor attack, on both sides, were all propeller-driven aircraft with piston engines. The US aircraft that tried to defend against the attack were Army Air Corps planes. The Navy’s aircraft carriers were all at sea at the time of the attack, which was very fortuitous.